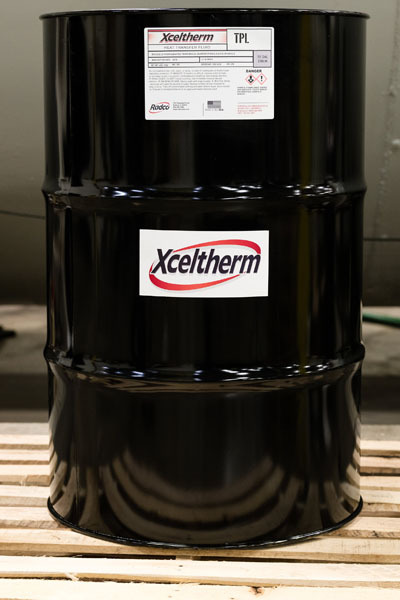 Direct replacement for Hydrogenated Terphenyl based heat transfer fluids, chemically equivalent to DowthermTM RP* and Therminol® 66*. Fouling resistant synthetic for low pressure systems operating up to 650°F (343°C). Recommended for oil and gas processing, chemical manufacturing, refining operations, low pressure thermal fluid systems, bio-products, polymer and resin production and many other applications.